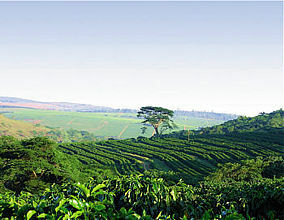 Direct trade, high-altitude coffee grown on an award-winning, private plantation in Zimbabwe. The Ashanti Farm's elevation is approx. 3600 ft above sea level. The coffee is planted in contour lines to stop soil erosion, and the ravines around the coffee fields are left in their natural state, providing sanctuary to wildlife. 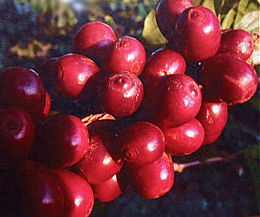 Once the coffee beans are hand-picked and pulp removed from 'cherries', they are fermented in open air tanks, then washed and sun-dried for about three weeks. After hulling, sorting, grading and 'cupping', the green beans are shipped directly to Canada to Ashanti's Roasting Facility in Thornbury, Ontario. The beans are hand-roasted in small batches fresh daily. Non-GMO, no additives, free of pesticides. Single origin. Fair trade. Superb. 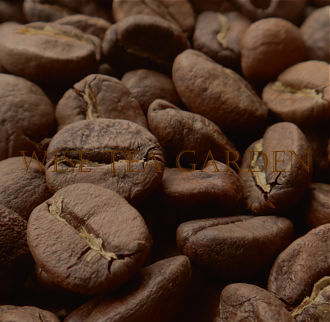 IN STOCK, HAND ROAST: Medium Roast Grade A Arabica Whole Beans, Dark Medium Roast Grade A Arabica Whole Beans. * Grade A - large size beans, 17-18 screens. 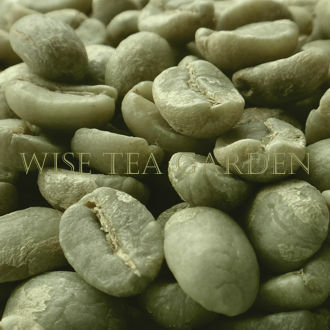 MEDIUM ROAST PROFILE: A full-bodied, superbly buttery cup with bright and clear entry, intense alive flavour, caramel-chocolaty undertones, and clean coffee-liqueur or blood orange or berry tisane fragrant finish *depends on a type of brewing. Ashanti Coffee can be brewed hot or cold, resulting in a refined cup with a perfect balance of full body and clear acidity. We do not suggest to add any spices with strong flavours or aroma such as cinnamon, turmeric, peppers. 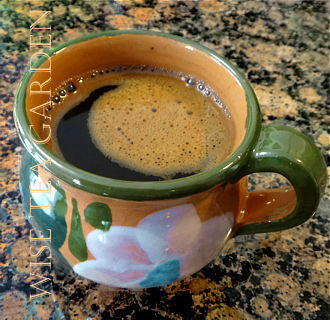 But with a tiny pinch of cardamom, you will enjoy Cardamom Ashanti - a playful and romantic bouquet in the cup. Add freshly ground cardamom in just brewed coffee (1 medium seed per 200ml cup). To make Vanilla Ashanti, please add a half of a Vanilla Bean's 'caviar' (per 200ml). Coconut Ashanti - add a tiny piece of virgin unrefined cold-pressed Coconut oil, gently stir. Lavender: please add a pinch of Organic Lavender blossoms, stir. DARK MEDIUM ROAST PROFILE: An exquisite, full-bodied, superbly buttery and pleasantly smokey cup with nutmeg undertones. 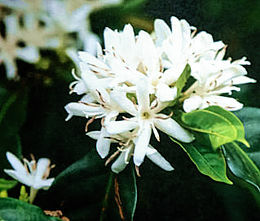 It has slightly stronger, than in a medium roast, clean and chocolate liqueur fragrant finish. A tiny amount of Organic Cinnamon (mild) or freshly ground Nutmeg will extend the flavour to spicy exotic and enhance the cup of your Ashanti Espresso. Storage notes: To keep their 'bouquet' fresh, please do not grind coffee beans in advance. Store in the original packaging with no air inside, in a cool, dark place. Please note that the Ashanti Coffee is hand-roasted in small batches on a daily basis. Profile of the roasted beans may slightly vary from batch to batch depending on coffee beans' size and age, moisture content, crop year, and quantity of beans being roasted. Please consume (454g pack) with 4 months after opening. - Grind a small amount of beans finely into a powder, and put 2 teaspoons (2x15ml) into a cup (200ml). - Boil fresh distilled water (the water should be fresh, not boiled previously). As soon as start to boil, remove from heat and let it cool for about 1.5-2 minutes (the temperature of water should be around 95℃). - Pour the water over the coffee. Do not stir. - Cover with a saucer, and wait patiently for about a minute. - Remove saucer. Add freshly ground cardamom (1 medium seed per 200ml cup) or please open a large cardamom pod, scoop seeds from the inside and add to the cup. Using a teaspoon slightly stir the brew, and enjoy the thick and rich in flavour coffee. Extra: Add 1/4 tea spoon of Organic Lemon Zest for a fully-balanced, superbly perfect cup. Add unrefined cane sugar if you wish. Please replace Cardamom with any other spice of your choice, preferably Vanilla, Lavender or Coconut. For instructions, please see above ». 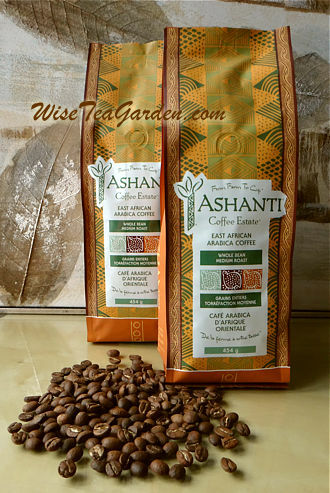 We do not suggest to add any spices with strong flavours or aroma such as cinnamon, turmeric, nutmeg, peppers to Medium Roast Ashanti, but they can definitely be added to the Dark Medium Roast Ashanti. MEDIUM ROAST CARDAMOM ASHANTI IN A CLAY MUG. Mug is handcrafted in Mexico for ChocoSol®. Photography © Wise Tea Garden®. Please roast your own. If you have never tried roasting at home, please google or became familiar with the Tristan Stephenson's THE CURIOS BARISTA'S GUIDE TO COFFEE. Wish you good luck! Important: To roast at home, you must have a good ventilated room or space. *To order by multiples of 100g, please set the Quantity as follows: 1 x 100g, 2 x 100g, 3 x 100g, etc.